Big Bang Theory a conspiracy say former climate science denier cult members. Don't continue the embarrassment of your climate science denial. Try this brand new anti-science movement rejecting the Big Bang Theory. Image credit: grandunificationtheory.com. Click for full-size where available. Remain silent while home owners and businesses buy millions of air conditioners that use lots of energy in peak demand periods: especially during heat waves. Invest billions in an electricity distribution grid able to provide huge amounts of electricity for a few hours of exceptional peak demand each summer. Australia is the hottest since records were kept. That has implications for people, crops and animals says Research Fellow with Victoria University Professor Roger Jones. There are implications for people, crops and animals in such extremes, says Professor Jones. For instance, people who live in housing without air conditioning or full insulation, or who live alone, need to keep contact with family and community. 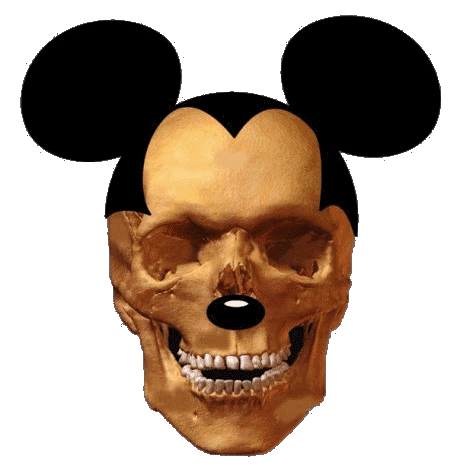 "What's been happening with the electricity grid is a lot of talk about gold plating," he says. "We've built the grid to withstand the hottest temperatures. It needs the capacity to handle those peak loads rather than just the average loads. "Maintaining a grid that will cope with peak loads is the main impetus for our increased electricity bills most over the past seven to eight years." Invest billions of dollars in smart meters so that the price of electricity can be raised substantially in peak demand periods to discourage people from using the air conditioners they bought in step 1. Blame the high cost of electricity in Australia on government ownership and sell the problem to private interests in the rather forlorn hope that this could make any difference. "Privatising assets is one of the few ways of dealing with “uncompetitive" union agreements that have driven up labour costs and electricity bills", claimed Vince Graham. Vince Graham’s comments drew a stern rebuke from Electrical Trades Union NSW secretary Steve Butler. ...Pay rises over the past two years ...added less than 50c to the bill of the average customer. Scrap billions of dollars of excess electricity supply and distribution capacity and throw away the billions of dollars of smart meters because they are no longer of any use. The link to the AEMO media release in the above tweet is 'broken'. Here is a tweet with a link to the archived location of that media release, on 20 March 2017. 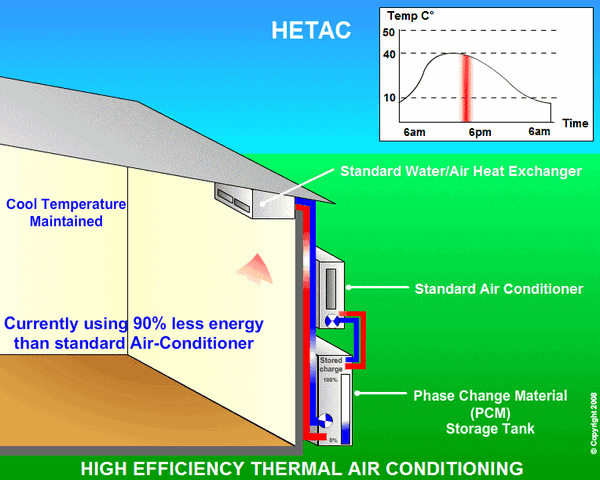 "This simple example illustrates that a cost saving of more than 77 percent and energy saving of more than 50 percent is achievable by implementing a HETAC thermal storage system." @RonaldJHexane 35 degrees warmer than today. @SteveSGoddard Incorrect. For 17 Jan 2014 Melbourne's max temp in the city is 111 F. That's 5 degs F MORE than it was in your old news item. @SteveSGoddard Sorry, Steve, I'm NOT "confirming no record heat in 2014". This may shock you, but there's still a few months of 2014 to go! 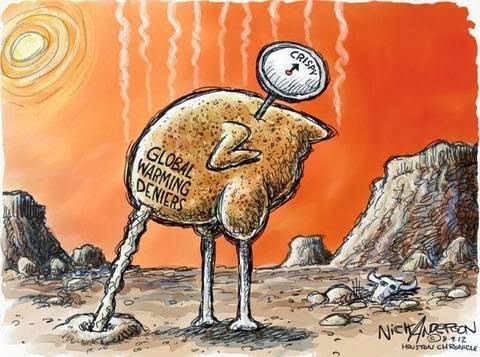 @RonaldJHexane I take it you understand now that the hype about record heat in Australia was just the usual alarmist BS? @RonaldJHexane I take it you are desperate to avoid admitting that you were wrong, and have resorted to infantile arguments. @RonaldJHexane Repeat after me "The hype about Australian record heat was just a bunch of BS"
@Askgerbil @RonaldJHexane That explains why China is building a new coal plant every week. @Askgerbil @RonaldJHexane China is bringing up new coal fired plants every week. Just not around major cities. This your first time reading? @Askgerbil @RonaldJHexane Gasifying coal does nothing to reduce CO2. @Askgerbil @RonaldJHexane Nice. I was working on coal gasification before you were born. It is used to reduce particulates, not CO2. @Askgerbil @RonaldJHexane You are confusing reservoir natural gas with coal gasification. The process of coal gasification is not efficient. Happy new year! A2SE wishes you a happy and prosperous 2014. We hope you had a relaxing break over the festive season, as it is shaping up to be a busy year for energy productivity. The new Federal Government is developing an Energy White Paper to set the direction for energy policy in Australia. This process has begun with the release of the Energy White Paper – Issues Paper, available here. As the Issues Paper is seeking comment on many issues including Australia’s current energy productivity and efficiency situation and ways to improve productivity and efficiency, the A2SE Forum on Energy Productivity could not be more timely. Submissions to contribute to the Energy White Paper are due by Friday, 7 February, 2014. Meanwhile, the Federal Government has also identified energy efficiency as a key option for consideration in its Emissions Reduction Fund Green Paper. Comments on this document are due 21 February, 2014. Kateri has more than 25 years of experience in policy advocacy and coalition building. She was a driver in convincing the Obama Administration to adopt the goal of doubling energy productivity by 2030. Kateri is also instrumental in gaining community and state support and adoption of the goal by traveling and speaking across the U.S. as part of Energy 2030 on the Road - an education, outreach and action campaign. Kateri is frequently asked by media, academics, government, and industry to speak on the work and progress of the U.S. Alliance Commission on Energy Efficiency Policy and the race to doubling energy productivity by 2030. Kateri’s full biography can be read here. Dr. Dan Arvizu is the Director and Chief Executive of the National Renewable Energy Laboratory, the U.S. Department of Energy's primary laboratory for energy efficiency and renewable energy research and development. He was also a Commissioner of the U.S. Alliance Commission on Energy Efficiency Policy – the team that developed the plan and persuaded the U.S. Government to adopt a goal of doubling energy productivity by 2030. After more than three decades of professional engagement in the clean energy field, Dr. Arvizu has become one of the world's leading experts on clean energy. In 2004, Dr. Arvizu was appointed by President George W. Bush for a six-year term on the National Science Board, the governing board of the National Science Foundation and the national science policy advisory body to the President and the Congress. In 2010 was reappointed by President Barack Obama to a second 6-year term. Dan’s full biography can be read here. REGISTER NOW to save $200 on the regular rate when you book your place for the 2XEP Forum before 7 March, 2014. Why a Forum on Energy Productivity? For decades, cheap and abundant energy has driven the growing Australian economy. No longer. Energy costs have skyrocketed, with electricity prices doubling in the past 7 years, and gas prices threatening to follow suit. The combination of high energy prices and low energy productivity means that Australia’s competitive advantage in energy costs has been eroded. Europe, the U.S. and China have adopted aggressive energy efficiency targets. Just to keep pace with the improving OECD average, Australia will need to double its energy productivity by 2030. As energy prices rise and carbon constraints bite, Australia’s competitiveness and future prosperity depends on us using energy supplies and infrastructure much more efficiently. The 2XEP Forum confronts this critical challenge: How do we double energy productivity in Australia? What is the current energy productivity of key sectors of our economy? How does this compare with world best practice? How could each sector cost-effectively double its energy productivity by 2030? What energy productivity target is right for different industries and sectors? What obstacles need to be overcome to achieve the target? What are the economic benefits of doubling energy productivity in each sector? What policy measures should government adopt? The United States Studies Centre is located at the University of Sydney, and aims to increase understanding of the U.S. in Australia. The Centre provides courses for undergraduate and postgraduate students, and hosts public and business forums. The Centre aims to bring together policy and industry experts from the U.S. and Australia to develop action-oriented solutions to a range of sustainability challenges concerning energy, water, food and biodiversity that are technologically innovative, commercially scalable and politically viable. The A2SE Annual General Meeting will be held in Sydney on Tuesday 4 March, 2014 from 5pm to 8pm. The AGM is an opportunity for members to shape the future of A2SE by electing the Board of Directors and participating in strategic planning. Nominations for the Board of Directors and members are open to A2SE members now. Nominations must reach the A2SE Secretary by Tuesday, 28 January, 2014. Carmina Jimenez at 2XEP@a2se.org.au or (02) 9514-3675. The CSIRO solar air turbine may be adapted to operate as BTOLA's indirectly-fired gas turbine - powered by either solar thermal energy or any combination of renewable biofuel or fossil fuel. The result is a solar thermal power station that can generate electricity 24 hours a day, 7 days a week - on sunny days and cloudy days. The cost of solar thermal storage is avoided. The BTOLA power generation system has reduced fuel-costs because the solar thermal heliostat field generates electricity from solar energy during sunny periods. The capital cost of the integrated system is less than building 2 separate systems: the gas turbine and electricity generator are shared. An indirectly-fired gas turbine used in a combined-cycle has slightly lower efficiency than a conventional combined-cycle gas turbine power station, but has lower maintenance costs as its turbine blades are not exposed to any combustion gases. This approach complements the work CSIRO and GE are conducting with SolarGas power generation. In that approach, solar thermal energy is combined into the chemical bonds of biogas and/or fossil fuels. This alternate approach leaves the different energy sources and fuels unchanged, and then uses them in any combination in an innovative power station design. Both of these approaches overcome complaints that renewable energy sources are unreliable. There is also a growing awareness that as the number of solar panels grows, the cost to consumers of an electricity grid and central power stations also grows as these energy resources are pushed to the margins in providing backup capacity on cloudy days. The approach adopted by GE and CSIRO with SolarGas, and the approach described here - avoid this problem. No "stranded assets" are created. The same power generation infrastructure can be used with any combination of renewable and fossil fuels. A transition from reliance on fossil fuels to renewable energy need not be expensive or difficult. Hi @Askgerbil, that’s a great article! We’re excited to see what #renewableenergy will bring in the future! CSIRO has designed and built Australia's largest solar thermal research facility which consists of a 30 metre high solar tower (the tallest in Australia) and high temperature receiver, and a 4000 square metre field of 450 heliostats. The facility is capable of concentrating solar energy at temperatures beyond 1000 ºC. CSIRO will use the facility to develop and test one of the world’s most powerful solar air turbines to generate electricity from air and sunshine alone (almost all current systems require water as well as fossil fuel). This 200 kiloWatt solar air turbine generates electricity which is then fed into the grid. The pilot site covers an area of 4000 square metres and although this site is being used for research, a site of this size could generate enough electricity to power nearly 200 homes. BTOLA converts existing proven gas turbines to indirectly fired gas turbine engines allowing them to run on Biomass, waste products and other fuels lowering fuel costs and greenhouse gas emissions. The gas turbine has been tested and achieved excellent results with these alternative fuels. Because the BTOLA solution is up to 70% cheaper to purchase, install and operate.